Heard about the benefits of leasing your land for solar? Talk with a Sun Tribe expert about how we can make your land an even more valuable asset. Evaluating the characteristics of a site for a potential solar project can be challenging. Our team of experts have the skills and experience to determine the best sites for development and can work with your land use plans. As a leader in utility scale solar, we excel in delivering innovative solar solutions that benefit both land owners and those with pressing energy needs. Long term site leases are an investment in today, and will be shared by generations of landowners. Developing a site lease is all about fairness – providing value for landowners while ensuring that partnerships can remain sustainable for the long term. Our legal and financial expertise guarantees that your site lease will be strong and sustainable. Interconnection can be complicated, but Sun Tribe’s team works with the local utility to ensure the facility is able to provide power to the electric grid without any obstacles. Obtaining the required state and local permits for environmental and land use is as an opportunity to use our experience in working with local authorities and to build community consensus. We are invested in our local communities. At Sun Tribe, our engineers have designed systems for some of our country’s most trusted brands, and our in-house construction team is NABCEP-certified and OSHA-trained. What does that mean? It means we get the job done safely and on-time. Sun Tribe closely monitors the system, and is dedicated to maintaining both the system itself and the land it sits on; including mowing and landscaping for the length of the lease. For land owners, utility scale solar provides opportunities for stable, long-term passive income. Utility scale solar leasing offers greater returns per acre for land owners. Partnering with Sun Tribe allows you to preserve your land for future generations. What is utility scale solar? At Sun Tribe, our experienced team of utility scale solar experts have the land use, development, engineering, and project management experience you need to see projects through from start to finish, and will continue working with you long after the system is installed and generating power. In both the short- and long-term, utility scale solar has significant benefits for all stakeholders. For land owners, they can rest easy that their land is being well preserved for future generations while enjoying the present-day benefits of high lease rates and maintenance provided by Sun Tribe. Fees are paid up front for site access and the development period. And when the lease is up, the land is returned to its previous condition – we take sustainability seriously, and treat your land as though it were our own. For commercial and utility partners, utility scale solar provides them affordable energy that helps meet sustainability goals, power their businesses, and rely less on traditional energy sources. These partners know they can count on projects that deliver decades of reliable output, with a partner capable of getting results. Can I use my land during the development period? Land use during the development period is permitted as long as it does not impact the future solar development or impede the necessary assessments. Are there expected maintenance responsibilities as a landowner? Sun Tribe Solar will be responsible for any land maintenance (mowing, landscaping, etc) on leased land as well as the operation of all solar energy equipment. If I sign the lease, is my land guaranteed to be used for solar? No, there are many studies that must be performed and permits acquired prior to determining the viability of the site for utility scale development. Issues may arise in any of the study and permitting processes that can prevent final development. Sun Tribe Solar staff will maintain upfront and open communication with partners during the development period to ensure landowners are up to date on the progress. What happens to my land after the lease ends? At the end of the lease term, all equipment related to the solar facility is removed from the property. The land is restored as near to its original condition as possible. 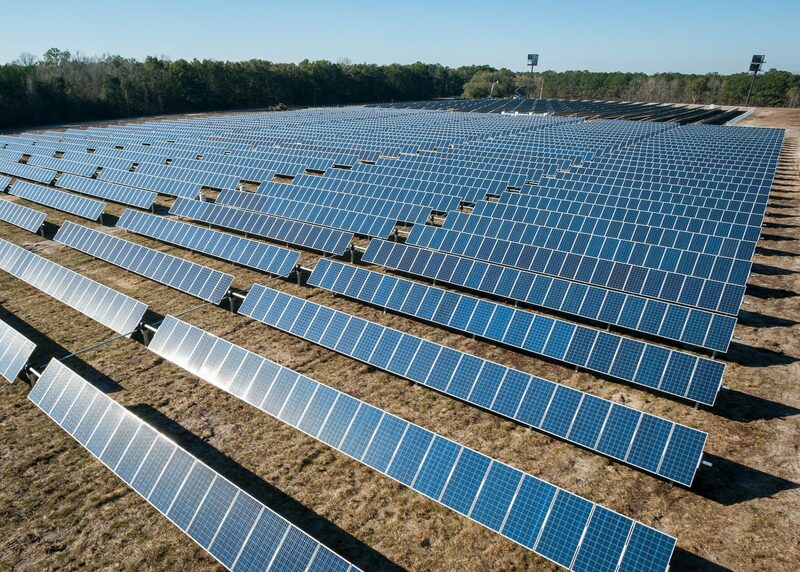 Sun Tribe Solar prepares decommissioning plans for all its utility scale facilities to ensure the best possible condition of land after the lifespan of the facility. Will leasing my land increase my property taxes? Sun Tribe Solar will pay any property taxes and fees related to the solar energy system as well as any rollback taxes levied against the property due to a change in land use. The property owner will continue to be responsible for any property taxes levied on the property itself. Who has access to the land during lease/under operation? The lease grants Sun Tribe Solar and its representatives access to the property for regular maintenance and unscheduled service for the life of the project. Solar panels typically have a warranty of 20-25 years. The lifespan of the panel is usually much longer, typical to any car or appliance warranty. Will the project impact my property value? To date, there is no evidence that utility scale solar farms have negatively impacted property values. Sun Tribe Solar sells the power to utility and commercial partners. Each facility is unique regarding who power is supplied to.